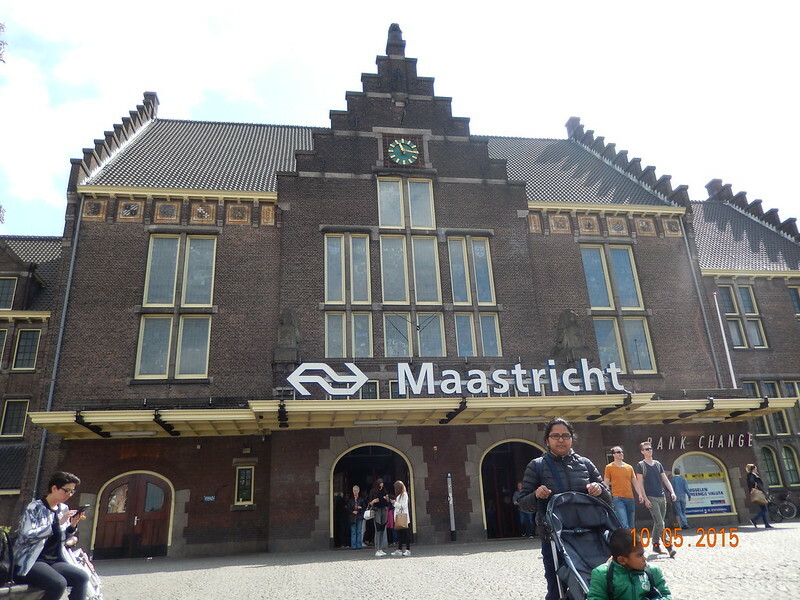 After almost 2 and half hour of train journey from Amsterdam Central Station, we reached Maastricht. It was a sunny day and the city looked beautiful. 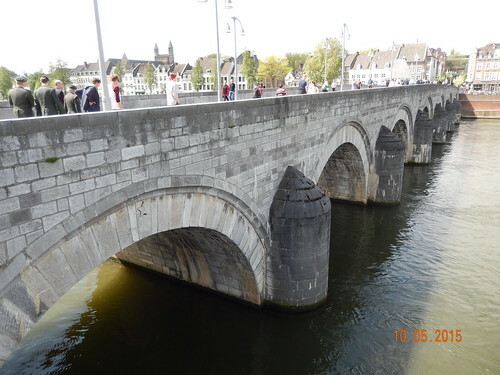 We had the plan for exploring Maastricht in one day completely chalked out and the gps was there for direction. No question of wastage of time in trying to figure out which way to go.... I am a firm believer of exploring a city by walking it's streets. It is then only one can soak in the essence of a new place. Giving enough time is key and nothing good can come by rushing through sites and places. 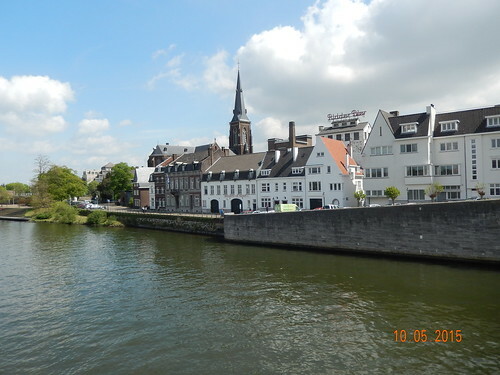 From here we headed towards Vrijthof - which in one way is the focal point of Maastricht. This place is like the Museumplein of Amsterdam, on a smaller scale of course. 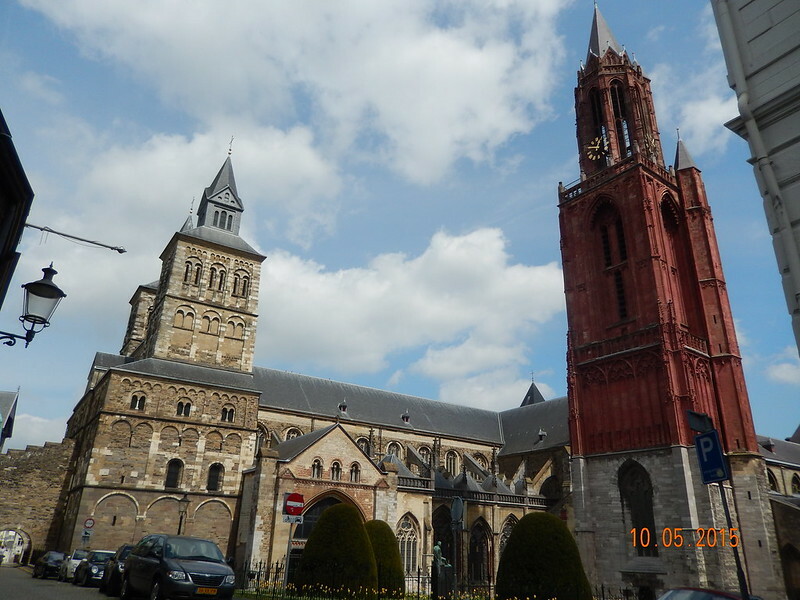 The huge Sint Servaasbasiliek can be seen here standing majestically. 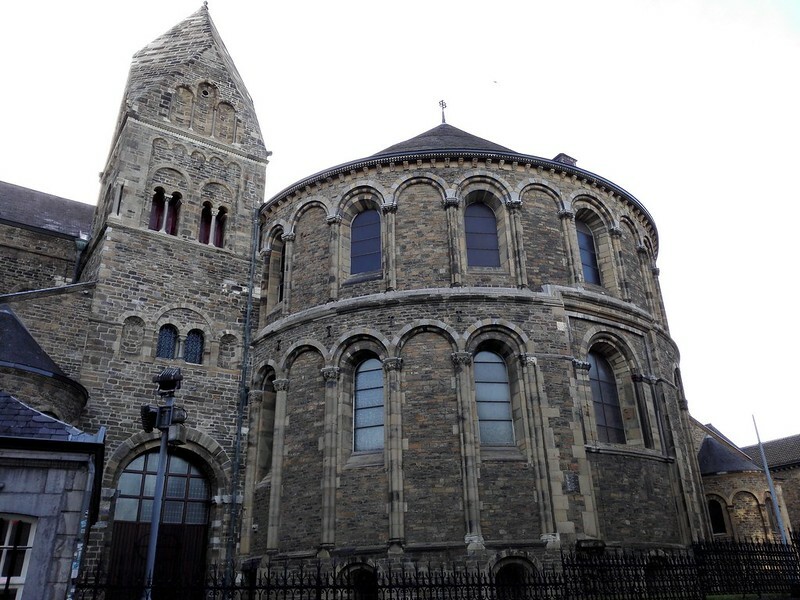 This dates back to 1000AD. It's worth going very near and studying the architecture in detail. Just like the Rijk Museum which is the cynosure of Museumplein in Amsterdam, Sint Servaasbasiliek is the cynosure of Vrijthof. 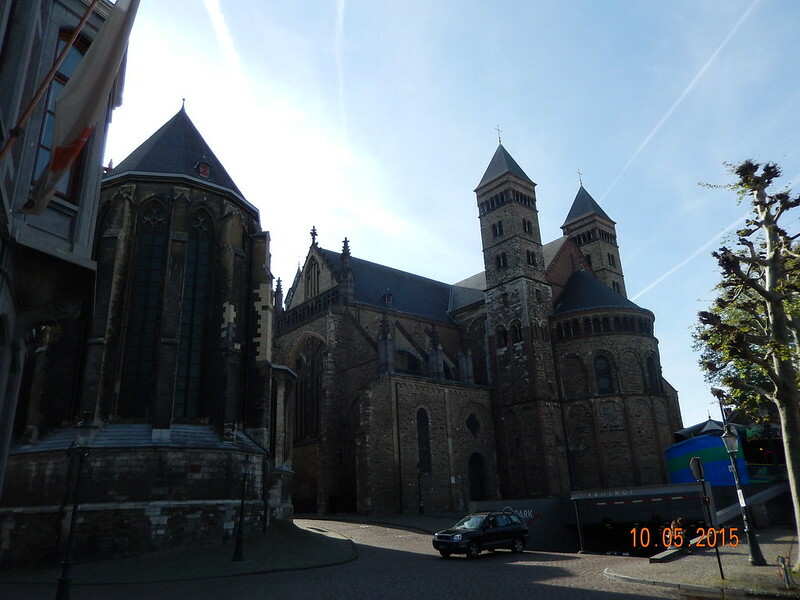 Also adjacent to it is the tall Sint Janskerk (14th/15th Century Gothic Church). Heard a lot about this Red Color Church and it indeed looks marvelous. We didn't waste much time and headed straight towards Fort Sint Pieter. 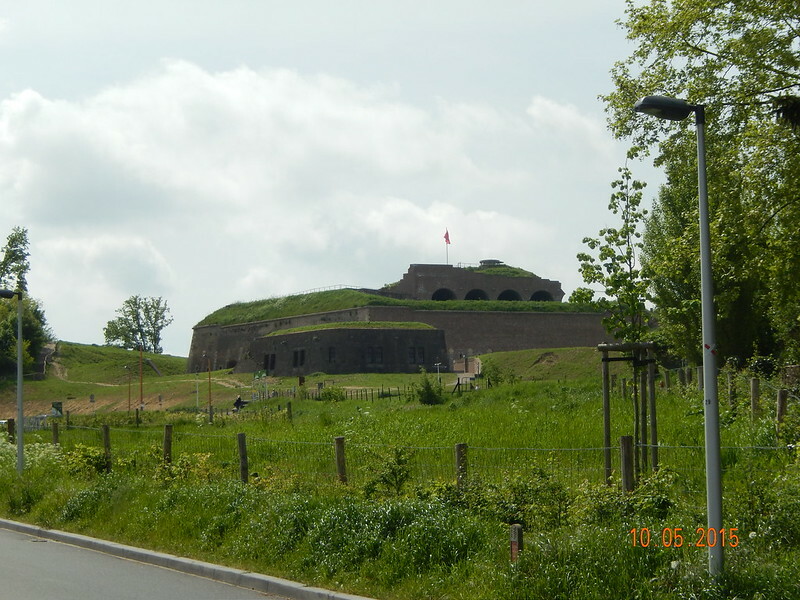 Below this Fort are the famous Maastricht Caves. We were targetting the 2 O' Clock English Tour to the Caves that take place here - which is quite famous. The guide was very charming and he made this place alive with his narrative stories of past when people used to hide in these caves. With three four hand-lanterns we started walking inside the caves with soft lime-stones. 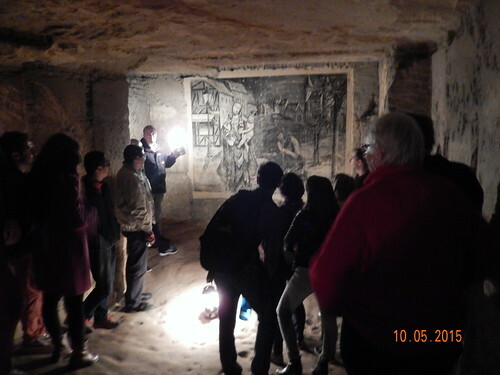 In the pics below you can see the guide explaining some of the wall paintings. 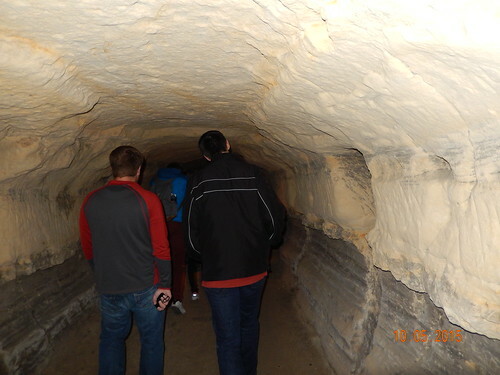 It's not possible to capture the mysterious dark caves in camera and one has to experience though these guided tours. At last there was light at the end of the tunnel as the guide came to our relief with his hand lantern smiling. We came out of the caves thrilled and bemused and after a heavy lunch here, we proceeded again towards Vrijthof. Here there was a fare going on and we thought it would be good to entertain Romir with some of the amsuments here.